Wuppertal is a great place to visit all over the year. And the best part is you don’t have to worry about finding the perfect accommodation for you and your family. From small B&B hotels to five-star business hotels – there is something for everybody. Situated throughout the city, you can find them everywhere and the welcoming staff can be part of your unforgettable holiday in Wuppertal. The perfect concept for city travelers who want to have as much as possible left for the city. For business travelers who prefer to invest in their business rather than expensive overnight stays. 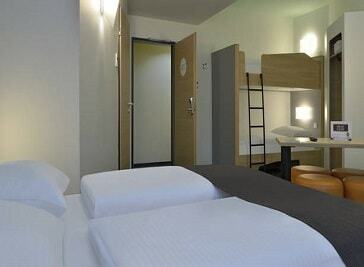 And, of course, for families, who can even stay overnight in a cheap quadruple room. 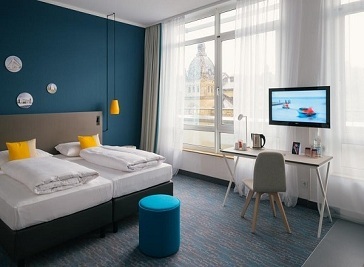 The IntercityHotel Wuppertal is the perfect place for business appointments and the ideal starting point for cultural trips and city exploration in and around Wuppertal. The whirring of the overhead railway is a sure sign you're in Wuppertal. From the terrace of the Vienna House Easy, now in a new design, you get a great view of the Luisenviertel quarter as well as the famous railway.